Moving is hard work, so we work hard to make sure your storage experience is a pleasant one. Our Customer Satisfaction Pledge is a reflection of our core values to provide you with excellent customer service that will exceed your expectations. 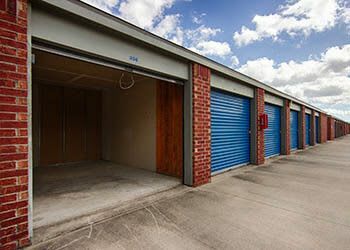 We offer a wide selection of storage units and are always happy to show you around our facility. We offer storage units for rent that are ideal for students. Texas Tech or Lubbock Christian University, tuck your dorm room items into a 5x10 over the summer. Need room for a household worth of goods? No problem. Our Lubbock storage units include popular 10X10 and 10X15 spaces that can accommodate everything from one bedroom apartments to three-bedroom houses. Love your boat or RV, but not the way it looms over your driveway? We offer covered RV parking and covered boat storage near Buffalo Springs Lake. Our Caprock boat and RV storage offers free 24-hour access, so your vehicle will be ready whenever the mood for adventure strikes. If your business needs extra storage space, Metro Self Storage gives you the flexibility to choose a storage solution on your terms. Whether you want to free up office space, store files and documents, or warehouse business inventory and equipment, you can count on Metro to understand your business storage needs. 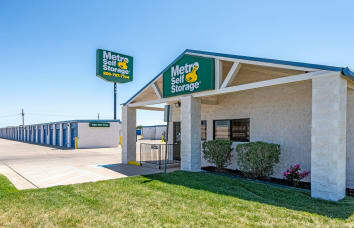 Metro Self Storage helps Lubbock businesses run more efficiently by providing 24-hour access and flexible month-to-month storage rentals. Upsize or downsize your storage space without penalty whenever you need, and enjoy friendly professional service, backed by our Customer Satisfaction Pledge. Our competitive pricing, exceptional service, and online account management are just a few more reasons to choose Metro for your business storage needs. Our great location and easy driving directions make it easy to find our Lubbock storage facility.